© ISTOCK.COM/CREATIVE_OUTLETIn 2015, biopharmaceutical company Juno Therapeutics launched a Phase 2 trial testing a therapy for adult relapsed and refractory acute lymphoblastic leukemia (ALL), a blood cancer that, with current treatments, only 10 percent of patients survive past five years. 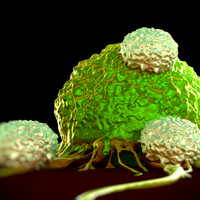 Developed in collaboration with researchers at Memorial Sloan Kettering Cancer Center, Juno’s chimeric antigen receptor (CAR) T-cell therapy JCAR015 was engineered with a specific protein to help the immune cells recognize, and selectively kill, tumor cells displaying the CD19 antigen on their surface. Like other CAR T-cell products in development, the therapy had shown tantalizing potential, achieving remission in patients for whom other treatments had failed. But in May 2016, things started to go terribly wrong; one of the 68 patients being treated with JCAR015 died from cerebral edema, a swelling of the brain. Then in July, another two patients died from the same condition and the trial was suspended. After appealing to the US Food and Drug Administration (FDA), Juno investigators recommenced the trial, omitting an accompanying chemotherapy drug they suspected was responsible for the adverse reactions—only to have the study halted again after two more deaths from cerebral edema in November. The fatalities, widely reported and discussed, came as a blow to the field, with some investors and health care analysts questioning whether the company—and the FDA—had acted responsibly. By early 2017, Juno’s shares had sunk to less than half of their value the previous summer, and in March, the company decided to call it quits on JCAR015 altogether, although it plans to continue development on other CD19 therapies. JCAR015 is not the first CAR T-cell therapy to have been associated with patient deaths. 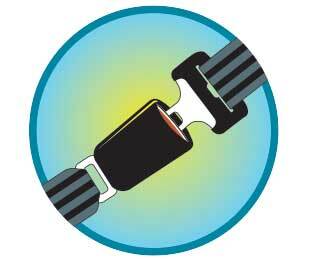 In fact, even those trials considered a success sometimes have troubling safety profiles. For example, Novartis’s lead candidate, the CD19-targeting CLT019, demonstrated a remarkable 82 percent remission rate in a 2016 trial with 50 children and young adults with ALL, but the treatment caused severe cytokine release syndrome (CRS)—a potentially life-threatening condition where large volumes of T cell–released cytokines trigger inflammation and fever—in nearly half of patients. And in September, Santa Monica, California–based Kite Pharma reported serious neurological side effects in one-third of its patients and CRS in one-fifth, as well as two patient deaths, during a trial of its lead CD19-targeting candidate KTE-C19, a therapy designed to treat non-Hodgkin lymphoma. Nevertheless, researchers remain excited about the promise of CAR T-cell therapies to fight many treatment-resistant cancers. (See “Resist or Desist” on page 40.) Even in the recent Juno trial, “many of the patients who were treated had really great responses,” says Marcela Maus, director of cellular immunotherapy for cancer at Massachusetts General Hospital. And in late February, Kite announced that one-third of patients who’d received KTE-C19 showed no detectable cancer after six months. While all CAR T-cell therapies tested thus far cause adverse reactions in at least some patients, certain treatments show greater toxicity than others, and understanding why has proven challenging. Different companies use different manufacturing processes, clinical protocols, patient populations, and dosing regimens, making the identification of specific risk factors difficult. 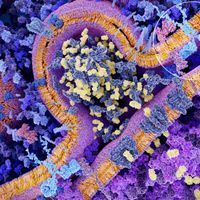 To help disentangle these issues, the FDA recently proposed establishing central databases to keep track of safety indications for CD19-targeting CAR T-cell therapies such as those being advanced by Juno, Kite, and Novartis. The hope is that combining trials’ often small data sets could help researchers identify particular steps in development or administration that are linked to increased risks. With this sort of real-time trial management in mind, several companies are investigating ways to mediate the action of CAR T cells during treatment, to rein in side effects before they become serious. A standard measure is to administer a general immunosuppressive drug such as tocilizumab to reduce inflammation—a method Dudek calls “the sledgehammer approach”—but researchers are now developing more sophisticated technologies to exercise finer control when hitting the immunological brakes. In 2014, Houston-based Bellicum Pharmaceuticals pioneered a “suicide switch,” CaspaCIDe, which can be engineered into T cells. The switch comprises an enzyme involved in programmed cell death (the gene for which is transduced into patients’ T cells ex vivo), along with a small molecule activator, rimiducid. In the event of severe side effects in a patient, clinicians can administer rimiducid, triggering self-destruction of the modified T cells in as little as 30 minutes. The technology is incorporated in the company’s lead candidate, BX-501, a therapy using partially matched donor T cells (from a parent, for example) that is currently being evaluated in children with blood disorders ranging from leukemia to sickle cell disease. Other companies are exploring variations on the theme. Cellectis and Juno are both trialing treatments containing T-cell safety switches that rely on antibodies to trigger cell death. And Ziopharm Oncology has recently developed technology to tamp down the activity of the CAR T cells without killing them entirely, leaving open the possibility of reactivating the treatment if the patient is able. One approach to improving specificity is to engineer CARs with not one, but two antigen-binding domains. 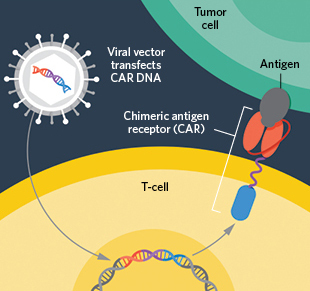 The resulting bispecific CARs could reduce off-target effects by requiring that two tumor antigens are present—or that one tumor antigen is present and a second, healthy-cell antigen is absent—before T-cell activity is stimulated. Such approaches have shown improved specificity in preclinical models of prostate cancer, and Juno states it has been developing bispecific technologies over the last couple of years. The precision of CRISPR could one day also be used to improve the delivery of the CAR genes themselves. 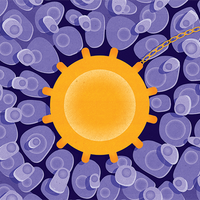 Earlier this year, researchers at Memorial Sloan Kettering Cancer Center showed that, unlike viral delivery—which inserts the CAR gene randomly into T-cell DNA—CRISPR-mediated delivery can introduce a CAR gene at a specific location in the genome. T-cells created using this method showed higher potency, the researchers reported, and outperformed traditional CAR T cells in mice with ALL (Nature, doi:10.1038/nature21405, 2017). Longer term, some companies are eyeing the possibility of moving beyond patient-specific products altogether, exploring the production of “off-the-shelf” CAR T cells from donated T cells. This approach has the potential to generate T-cell populations to be used in thousands of patients with lower risk of graft-versus-host disease, in which the recipient’s immune system attacks the donor cells. Last year, Kite joined forces with the University of California, Los Angeles, to investigate relevant methods, while Juno partner Fate Therapeutics paired up with Sloan Kettering; just this February, Cellectis received approval from the FDA to begin Phase 1 trials of an off-the-shelf therapy for two types of blood cancer.